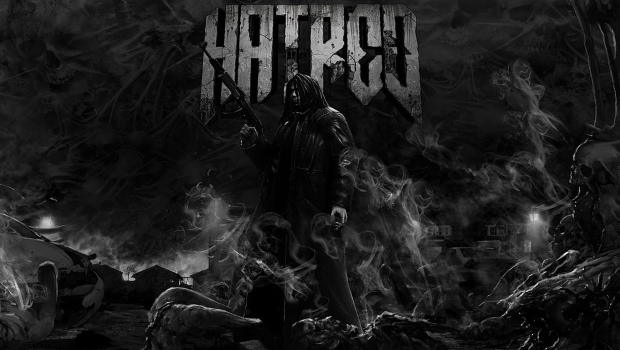 On the 15th, a game called Hatred was removed from Steam. 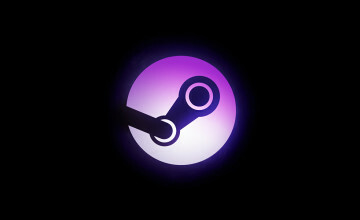 According to valve it “violated terms and conditions” thus resulting in the removal. 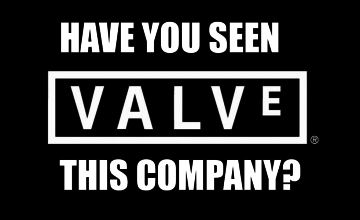 Valve never officially commented on how exactly the game violated said terms and conditions, so it left gamers like me wondering. Part of me wanted to say censorship, but logically speaking I assumed it was a misunderstanding. The game jumped to #7 in the Top 100 leaderboard for Greenlight mere hours after being originally added, so clearly the playerbase on Steam wanted this game on the platform. 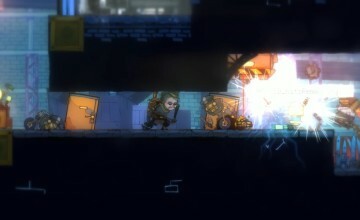 Gabe Newell himself reversed the removal decision and sent Destructive Creations an apology for the inconvenience. Gamer reception was mixed regarding the removal. Some were glad that a game that appeared to be glorifying/romanticizing mass murder was taken down. While others were irritated that Valve didn’t seem to have a problem with having games like Carmageddon and Postal which involve players killing plenty of innocent people. Maybe this was a marketing ploy, after all, the game is being advertised as incredibly controversial. In some ways it is. Whatever the reason, it is back and it appears to be staying. The game is set to launch Q2 of 2015 on PC. 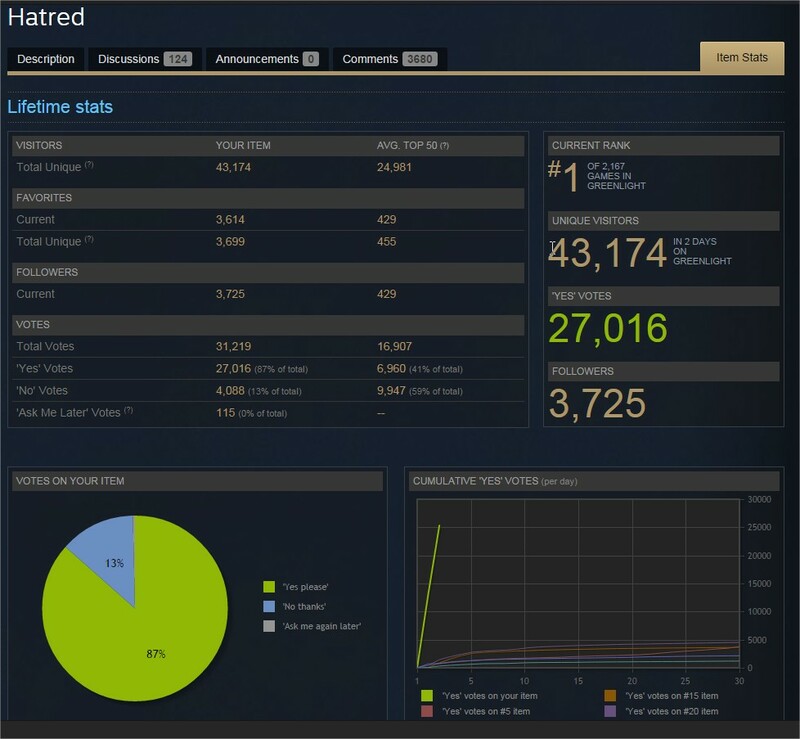 After just 7 hours of being added Hatred has taken the #1 spot of the highest voted games on Steam Greenlight with a staggering 27,000 votes. ← Previous Story It’s Happening!! Grand Theft Auto V Heists Get a Trailer! Next Story → Armed Gamer Needs Your Help!